Watch Drs. Jonathan Kay, Edward Li, and Andrew D. Zelenetz lead expert discussions on biologics and biosimilars. 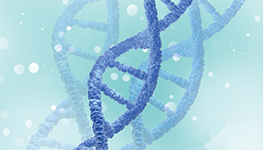 This curriculum has been developed to help prepare clinicians for the entry of biosimilars into clinical practice in order to make effective treatment decisions and communicate with patients about these new treatment options. CME/CE credit is no longer available for this activity. Copyright © 2019 The France Foundation All Rights Reserved.